Nirvana Beauty Laser Clinics offers the highest quality treatments. We bring you expert advise in aesthetic medicine from people who are passionate about educating clients in areas relating to their skin concerns. At Nirvana Beauty, we strive to provide best practice advice and treatment in the areas of cosmetic injectable rejuvenation, along with advice on various non-surgical treatments and procedures within the Sydney area. All our Injectors have over 10 year’s professional experience in the medical field. You will find they are very well respected with values based on safety, ethics, respect of protocols and professionalism. Whatever your skin concern, we can help you look younger for longer! 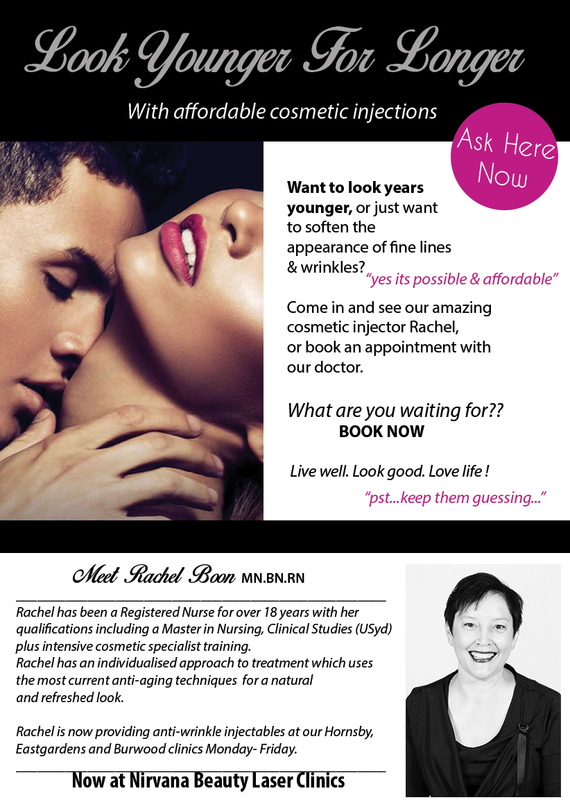 Want the low down on cosmetic injections? The processes of fa cial ageing: When your body gets older, skin loses elasticity, becomes dehydrated and wrinkly – this is a fact of life! We can’t stop this, but we sure can extend it! Gravitational changes due to loss of elasticity. Sun exposure and photo-damage is the single most important contributor to the appearance of aging skin, including its texture and pigmentation. 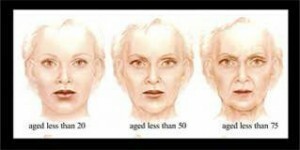 This is known as Photo-Aging as UV radiation from the sun has by far the most common detriment to the skin. The scientific name for this is also known as Extrinsic aging of the skin which is influenced by many external factors such as air pollutions, smoking, and ultra-violet radiation. Intrinsic aging of the skin which is influenced by the internal physiological factors such as genetics. The cosmetic uses for anti-wrinkle injections include the smoothing out of fine lines and wrinkles that develop on the face over time, resulting in a more youthful-looking appearance. Note: These Anti-wrinkle injections are not to be confused with dermal fillers – filler is separate and has different effects to these anti-wrinkle injections. 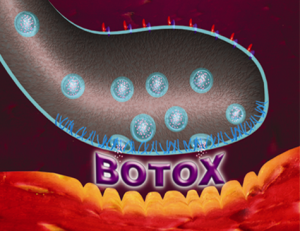 Anti-wrinkle injections contain abobotulinumtoxinA (Botulinum toxin type A). 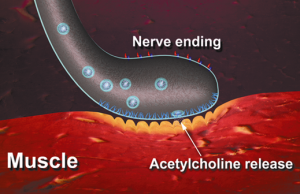 The injection relaxes muscles around a wrinkle by blocking the release of acetylcholine, (muscle contraction is caused by the release of a chemical called acetylcholine at the junction between the nerve ending and the muscle) hence, the injection relaxes the muscle. It is always crucial to ensure you have a correct consultation on anti-wrinkle injections, you can read more about our Nirvana Beauty Injectable consultation plans below. Smooth and prevent wrinkles with our cosmetic injections. Refresh your looks today! Dermal filler revitalises your appearance by restoring your skin’s volume to make it softer and smoother. Our dermal fillers are a natural gel substance (Hyaluronic Acid) used in all the latest cosmetic injectable treatments to improve and enhance facial contours. The injectable gel is made from a natural complex sugar called Hyaluronic Acid (HA) found within the tissues of living cells, including human skin. It assists in skin hydration by attracting and holding water. It also combines with collagen and elastin (a protein in your skin) to increase skin structure and elasticity. HA injectable gel is placed below the surface of your skin to literally ‘fill in’ or ‘plump up’ the static facial wrinkles and folds. This specially designed injectable product will help restore the volume of your cheeks, enhance and rejuvenate your natural facial features. Any questions? ASK SUZAN here about your cosmetic injection concerns at Nirvana Beauty Laser Clinics! This treatment delivers lustre, hydration and elasticity to crepey skin. Indicated for face, neck, décolletage and back of hands. For optimal results 3 treatments are required once every 3 weeks. Whether it’s to add lost volume or just to redefine the lip contours you will be impressed by our instant results with filler Lip Enhancement procedures. Dermal fillers can be injected into the lips and the areas around the lips to enhance the shape or size of lips. The vermillion border or cupids bow, and lip body can be enhanced. Volume loss and hydration are replaced which results in more youthful looking lips. The dermal fillers have a built in local anaesthetic which numbs the area instantly which makes this the procedure very comfortable. Non-surgical cosmetic treatment can be achieved in your lunch break with instant results and minimal down time. All our dermal filler treatments have a built in local anaesthetic so you will only feel the first tiny sting. You may experience some discomfort, however we minimise this by use of local anaesthetic and topical creams. You can discuss this with your practitioner prior to the treatment. The most common side effects are redness, tenderness and swelling after the treatment which usually subsides within 2-3 days. Occasional bruising can occur which can be covered by mineral make-up. There is always a little bit of swelling and potential bruising that may occur after all injections. Applying ice after helps to reduce swelling and refraining from drinking red wine, and fish oil supplements pre and post treatment for four days will help to minimize this bruising risk. A little make up can easily cover them. The has been a shift towards a more holistic treatment in the cosmetic consultation evolution, at Nirvana Beauty, our ultimate goal is client satisfaction. -Before any cosmetic treatment, there are some important issues to keep in mind, we encourage clients to always choose an appropriately qualified injectable administer – Don’t be afraid to ask them about their training and experience in performing the exact procedure you are considering. Inform yourself fully of the possible risks, side effects and complications of the procedure. Consider carefully the effects and expectations of the treatment. Please don’t hesitate to ask our expert staff about any questions and feel free to discuss your concerns at any time. During your initial visit, we will listen to your needs, offer advice and address any questions/ concerns you might have. 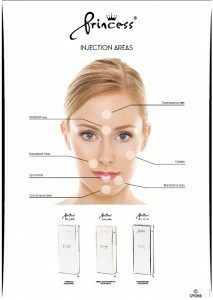 Dysport is: Dysport is an injection containing abobotulinumtoxinA (Botulinum toxin type A). AbobotulinumtoxinA is made from the bacterium that causes botulism. 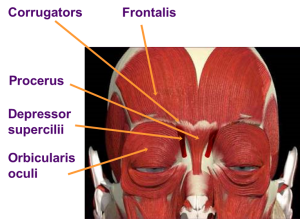 Botulinum toxin blocks nerve activity in the muscles, causing a temporary reduction in muscle activity and temporarily prevents contraction of the muscles that cause frown lines. Dysport was approved by the Food and Drug Administration (FDA) in the spring of 2009 for treating forehead wrinkles and frown lines. It has been used to treat neurological disorders outside the United States for more than 15 years, and is approved as an anti-wrinkle treatment in 34 countries. By contrast, Botox has been on the market in the U.S. since 2000. While the two wrinkle fighters are similar, Dysport and Botox CAN NOT be used interchangeably. Each requires special preparation and dosing. When looking at the effects, Botox can take up to twice as much time for any results to show. Research suggests that it takes Botox 3-5 days to work, while Dysport takes effect within one to two days. It is seen that wrinkles may even begin to fade within 24 hours after receiving Dysport. Dysport may also last longer than Botox injections as studies have shown that Dysport injections can erase wrinkles for six months to a year with regular injections, whilst Botox lasts about half that. Dermal Fller’s (P rincess) revitalizes you appearance by unveiling your natural beauty. Our product revitalises your appearance by restoring your skin’s volume to make it softer and smoother. It can also combine with collagen and elastin to increase skin structure and elasticity and literally ‘fill in’ or ‘plump up’ the static facial wrinkles and folds.